Stop wasting time and energy. 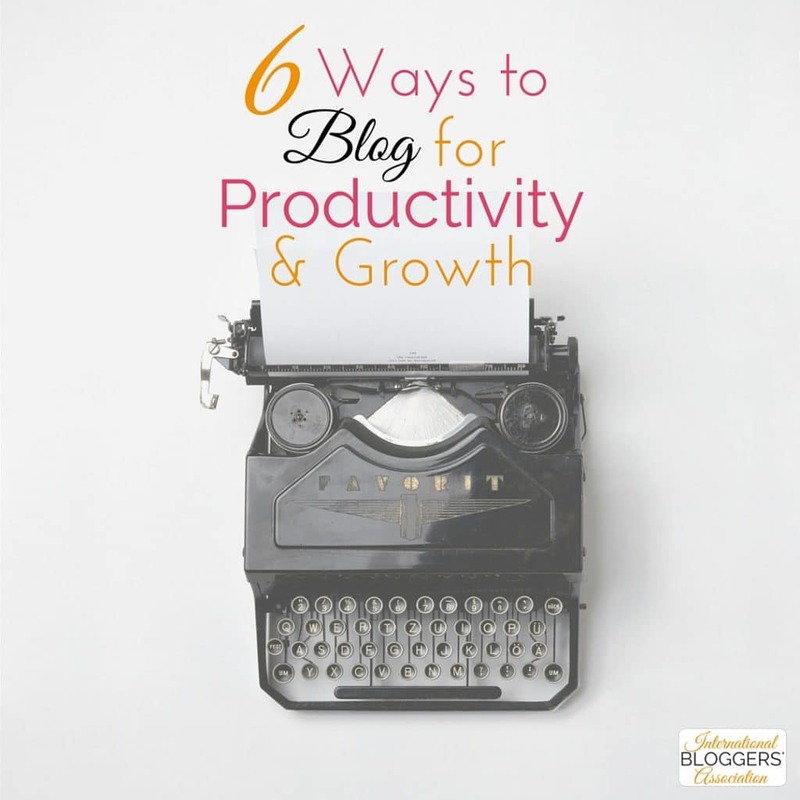 Learn how you can become more productive with these 6 ways to blog for productivity and growth. 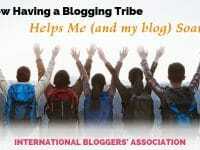 There are various ways to approach blogging. In the beginning, when everything is new and you’re still trying to find your Voice, it’s easier to take one post at a time without much preparation. But if you want to become a successful blogger, you’ll need more than a last minute inspiration to grow. While it all starts as a hobby, blogging involves more than what meets the eye. Writing great content is just one of the steps of the publishing process. Instead of navigating aimlessly on the blogosphere, let’s implement a mindful approach to blogging and blog for productivity and growth. According to Merriam-Webster, mindful means to bear in mind, to be aware. Even though they may all seem self-explanatory, you may still be overlooking key aspects of each. One of the first things one has to pick when starting a blog is its niche. You have to create a “persona” who is your ideal reader. With your content, you want to solve their struggle(s). Well, you don’t want your dearest reader to feel confused or lost by posting unrelated topics. Even lifestyle bloggers have to limit the number of subjects they can cover without driving their tribe nuts. I’m sure you have knowledge and experience to discuss a wide variety of topics. But if you present yourself as a food blogger, for instance, your readers may not necessarily be interested in your gym outfit. It’s an extreme example, but I’m sure you understand what I mean. Once you have your niche clear, even if it evolves through time, it’s important you stick to it. And the best way to stay consistent is by planning your content in advance to streamline it. Don’t wait until the last moment or fill your editorial calendar on the go! Take the time to mindfully pick the topics you want to write about for the next month or two. Think of holidays and events relevant to your public too. Balance your content! Even if you make last-minute changes, make it coherent with the overall message of your blog. Both fit perfectly on a post with tips and tricks to help parents get their children to eat healthier. The first one can misguide the reader, though. It almost implies you’ll have to lie to the little ones, which doesn’t sound like a good idea. Mainly if your goal is implementing long lasting habit of eating whole foods for life. The second one is about “easy ways” and the result is that kids will love their veggies. You won’t need to hide anything from them. In just 10 ways, you’ll be helping your readers solve one struggle most parents go through. Who doesn’t want to learn more about it? Instead of just writing “something”, invest time in composing headlines that reflect your excellent content. You can find great tips to create the perfect headline on Copyblogger, Hubspot, and Twelveskip. And to make sure you are on the right path, use CoSchedule’s Headline Analyzer free online tool. In the beginning, if writing is your thing, you won’t have problems coming up with stellar content. You just started blogging, and your mind is full of great ideas just waiting to be published. But even when words come out quickly, you can still make it simpler. First of all, start with a compelling outline. Plan your post mindfully by laying out your ideas in an organized way before starting with the writing itself. This “extra” step will not only save you time but will also guarantee a coherent and qualitative article. As you start writing your article, all you’ll have to do is fill in the blanks. The first step after you finalized your draft is reading it out loud. There’s no easier way to review a text than checking how it sounds. If you have a reviewer or a VA, who can do the review for you, great. Having a different pair of eyes going through your content is ideal. But if you aren’t there yet, you’ll realize that just reading your text out loud will help you get it right. Afterward, don’t hesitate to use tools such as Grammarly and Hemingway for an extra quality check. Remember that editing is never too much. If time allows, drop your post for a day or two and come back later for the final review. You’ll be more mindful this time around and catch any overlooked slip-up. Since Pinterest has become more of a search engine than a social media platform, it has been widely used for traffic growth. But as you probably know by now, you have to have “pinnable” images on your blog posts to take full advantage of it. Whether you take your own pictures or use stock photos, the quality of your graphic design plays a significant role in your content. Instead of just using some image, take your brand into consideration. If you don’t have a style guide yet, it’s time to get it done. Mind the size of your images so that you can make the most out of your social media shares. And don’t forget to choose pictures that resonate with your content. Disclosure: I, Debbie Rodrigues, receive commissions for purchases made through link(s) in this post. See full disclosure here. Social media promotion is huge when it comes to blogging. Yet, there are still those who approach it nonchalantly. 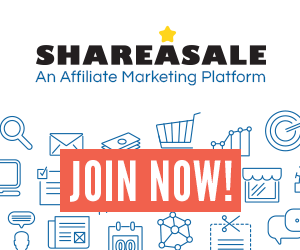 Instead of sharing your posts here and there without a goal, develop a consistent editorial calendar also for social media platforms. 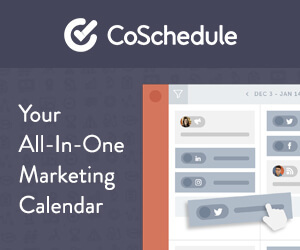 If you use a tool like CoSchedule, you can create social templates that you can use for all your posts. Have in mind the lifespan of posts per platform. On Twitter, the chances of having your content seen after one hour are minimum. On Facebook, though, you should avoid spamming by placing your shares mindfully. And above all, don’t let scheduling your social media shares take too much of your time. Prepare as much as you can ahead and let the system of your choice do the work for you. There are countless ways to create excellent content for your blog. While most of them work in general, unless you mindfully plan your steps, chances are you won’t be productive or see much growth. Blogging is awesome but also takes a lot of time and dedication. Make your blogger life simple by using a mindful approach to success — blog for productivity and growth! 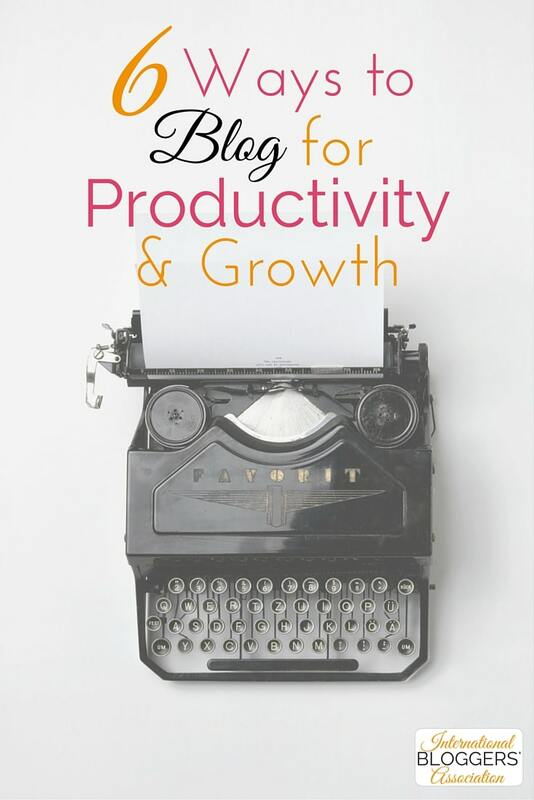 Do you have any tips to help us blog for productivity and growth?